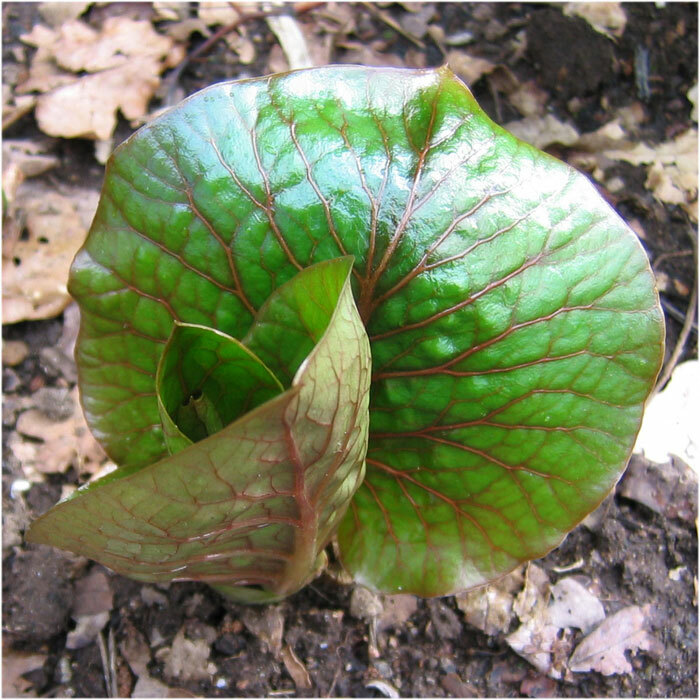 As the genus is so small, we have expanding the collection by adding plants with a variety of known provenances to provide examples of any variations that exist. During the years 2014 to 2015, we had DNA barcodes sequenced from an example of each strain in the collection. 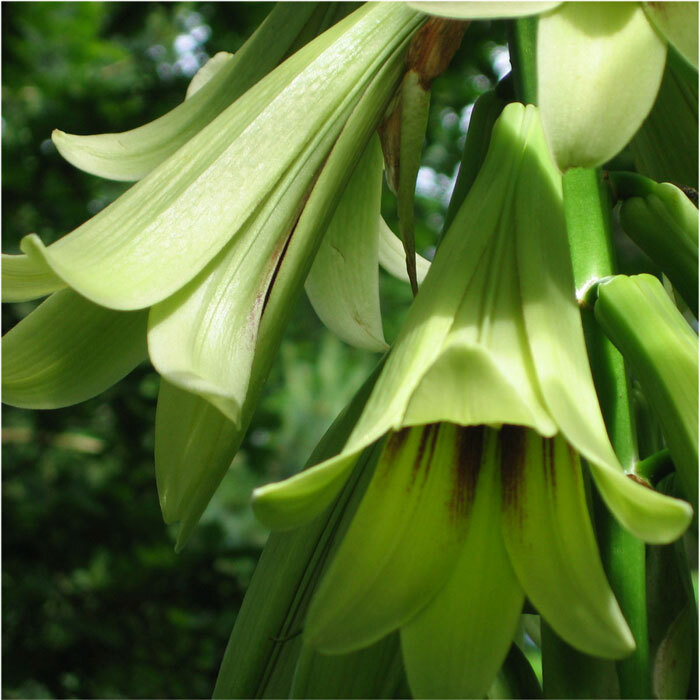 The information on the genus which is summarised below is given in far more detail in the booklet. 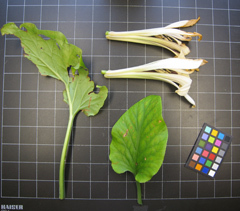 The photos in each section are not necessarily all of the same plant or flower but they are typical. 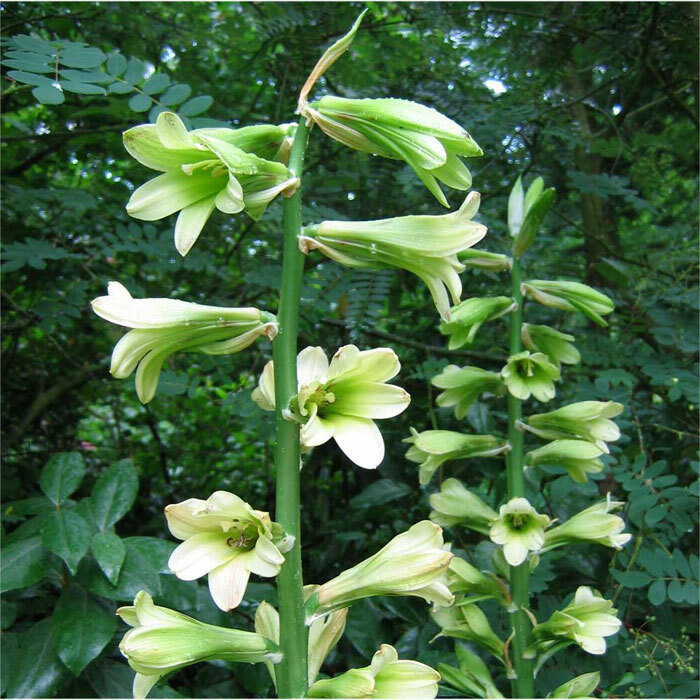 C. cordatum is much smaller than giganteum, growing to 1 - 1.5m, and its flowers appear as smaller versions of those of C. giganteum Whilst the basic flower colour is the greeny-cream of C. giganteum , there is hardly any magenta inside the trumpets of C. cordatum. 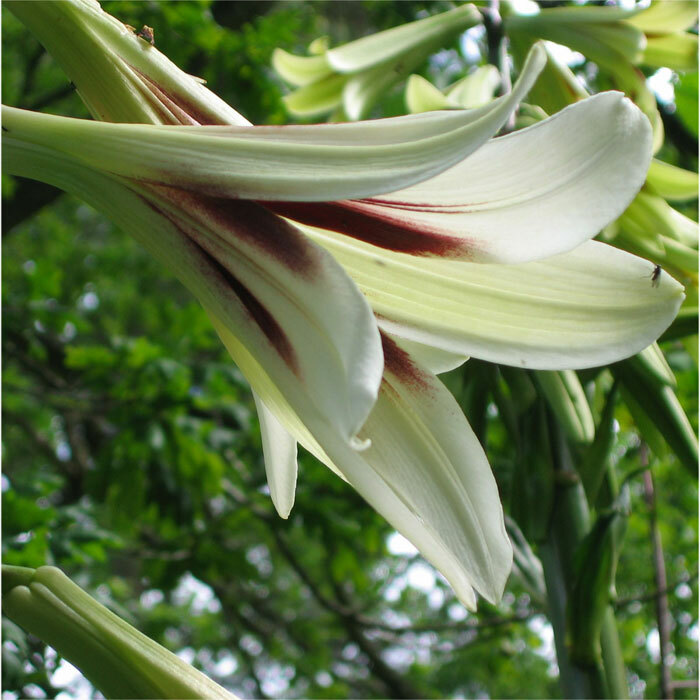 The scent is perhaps the most delicate of all the Cardiocrinums and is present throughout the day. 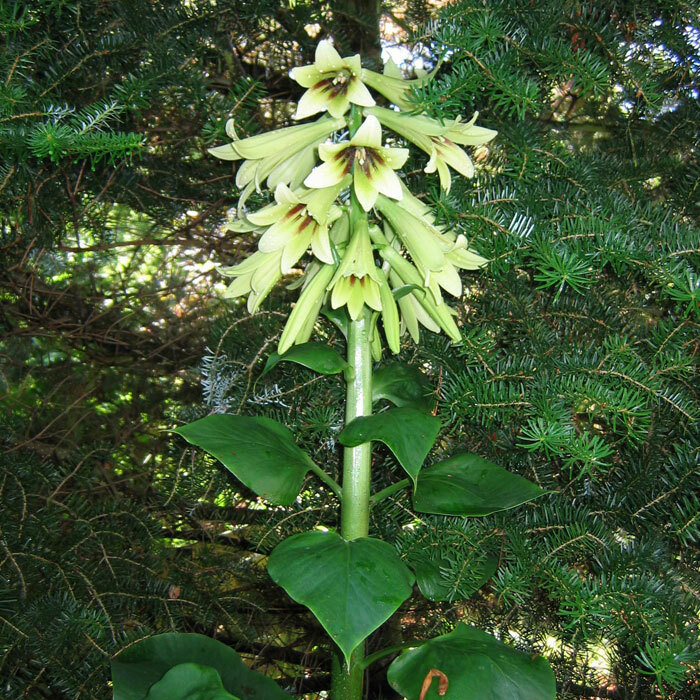 The flowers stem above was 1.33m, (4' 4"), tall. The new leaf and flower colours are not shown by all plants. 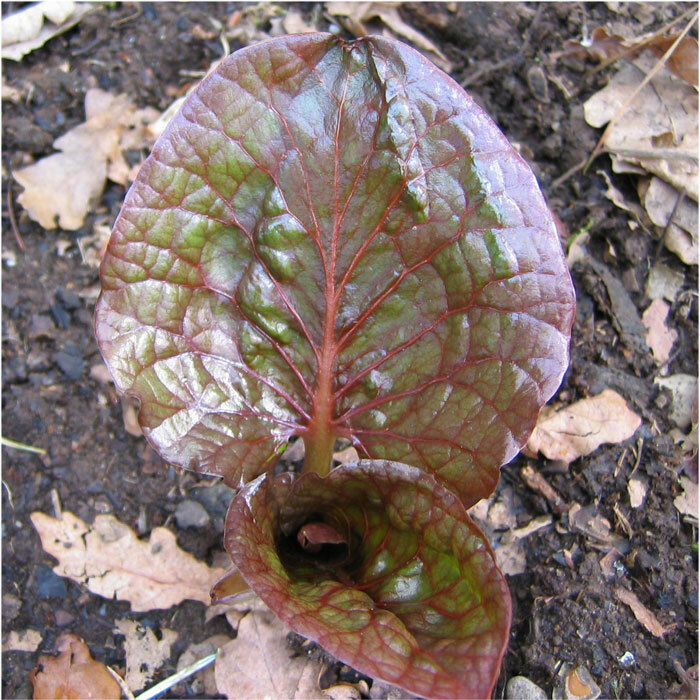 The database record 16 shows a Japanese collection with much greener leaves and flowers with more magenta in the throat. 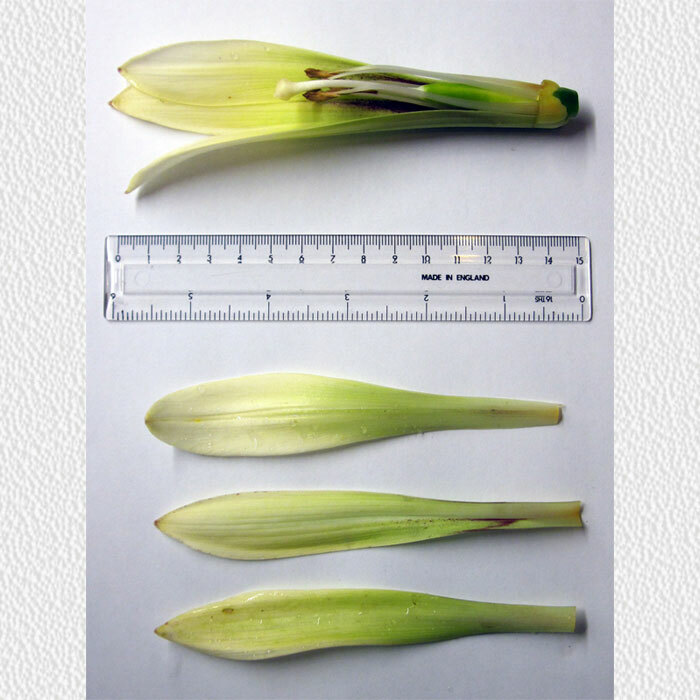 It's been reported  that, in some cases, C. cordatum doesn't die after flowering although every other reference I've found states that the genus as a whole is monocarpic. Follow this link for more details. 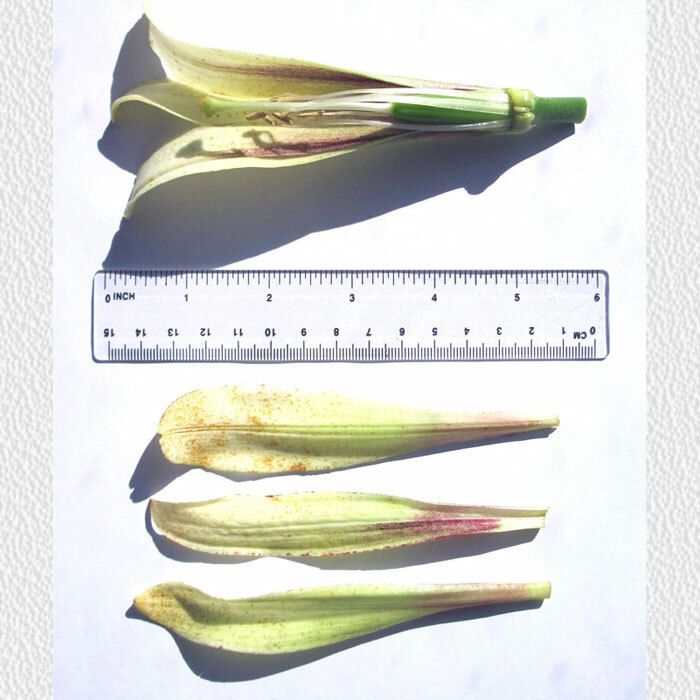 Some C. cordatum flowers have a definite 'humpback'. 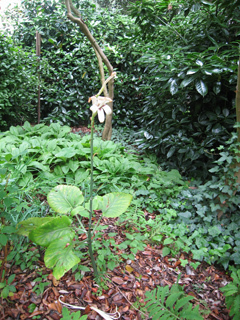 This can be seen very slightly in the above pictures but far more clearly in a Japanese form which flowered in 2011. 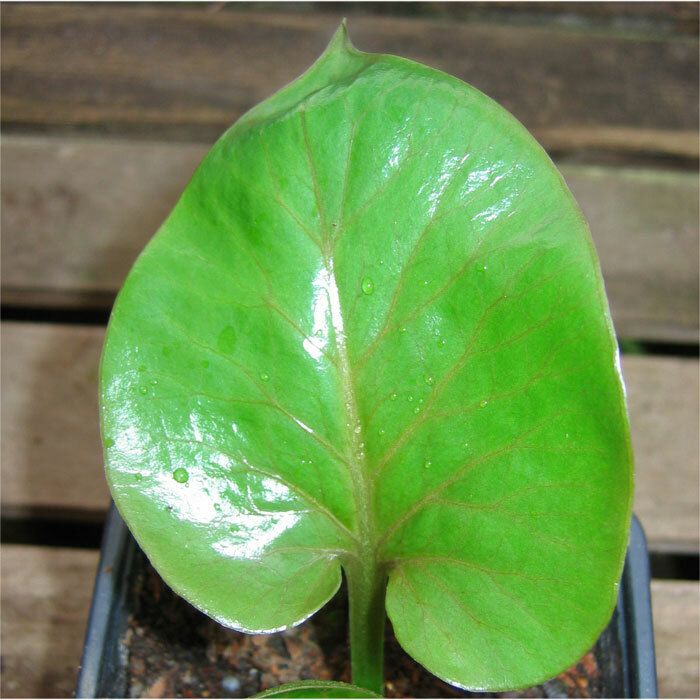 C. cordatum s. sp. 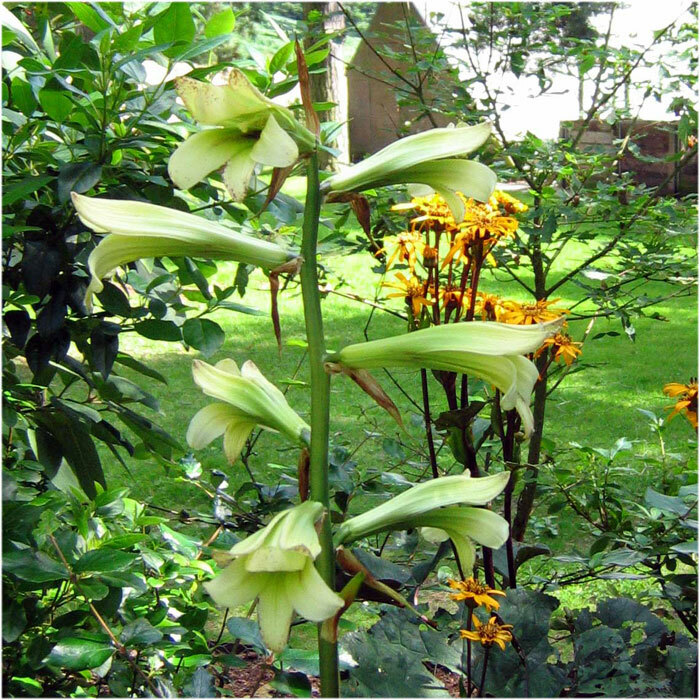 glehnii, is reported as having "more tubular and greenish blooms" than the species. 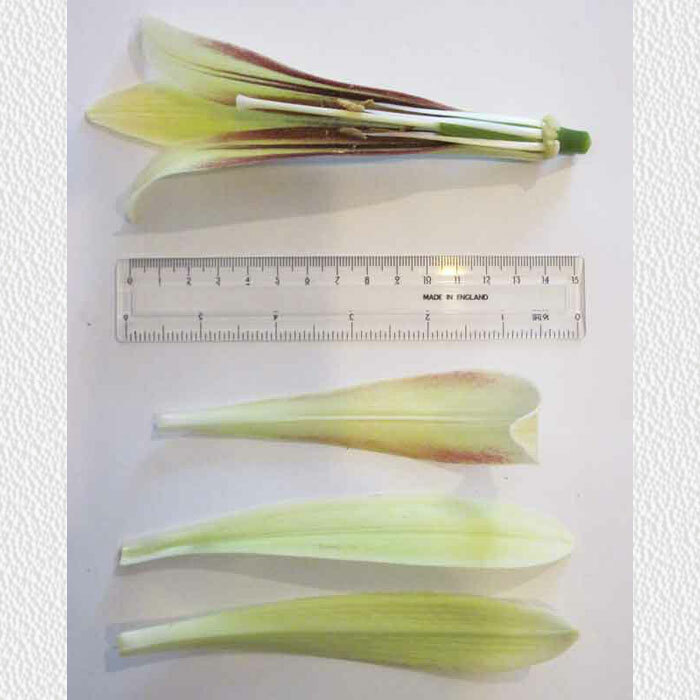 Our first flowering examples had squat flowers, less then half the length of C. giganteum, and with far more green and less magenta than any other flower. 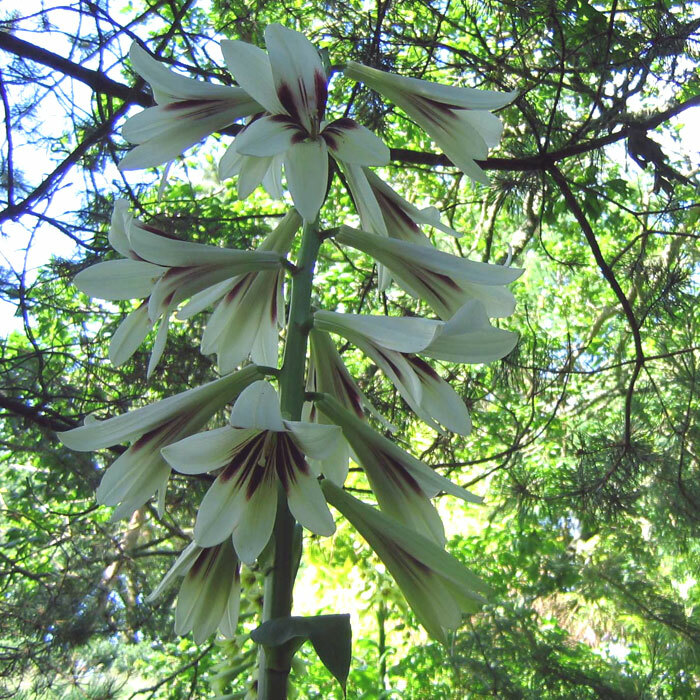 The flower stems below were 6' tall and the scent was more spicy than other types. 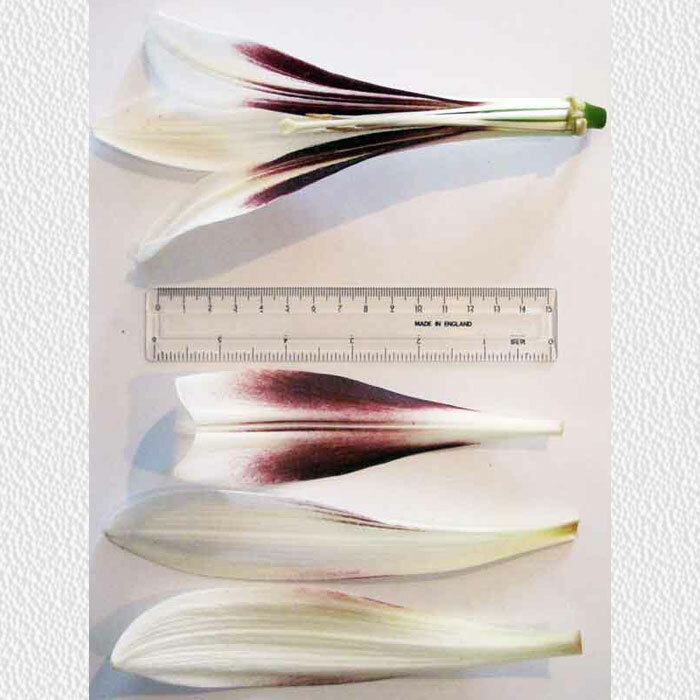 There was just a touch of magenta in the throat of the flowers and a faint speckling at the ends of the petals as can be seen in the close-up of the flower above. They were also very attractive to midges! 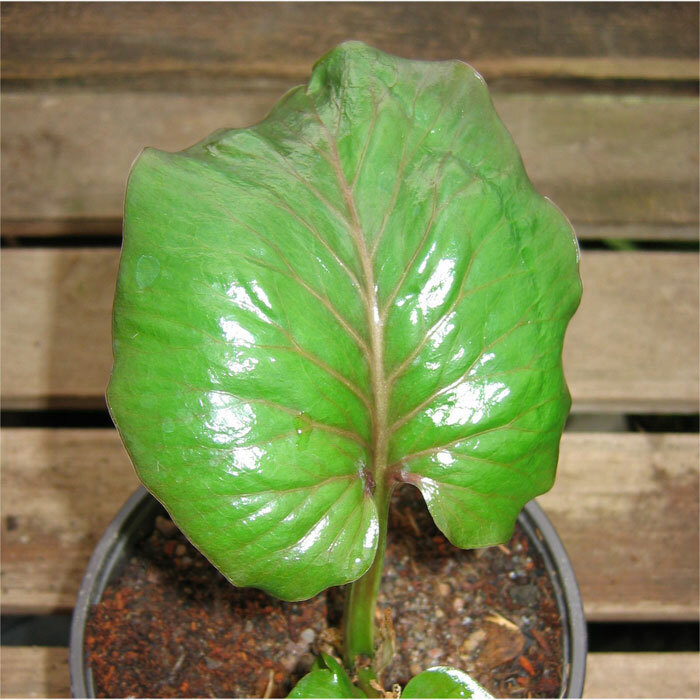 C. giganteum yunnanense grows to a similar height to C. giganteum but is more slender with slightly narrower, smoother and less glossy leaves. 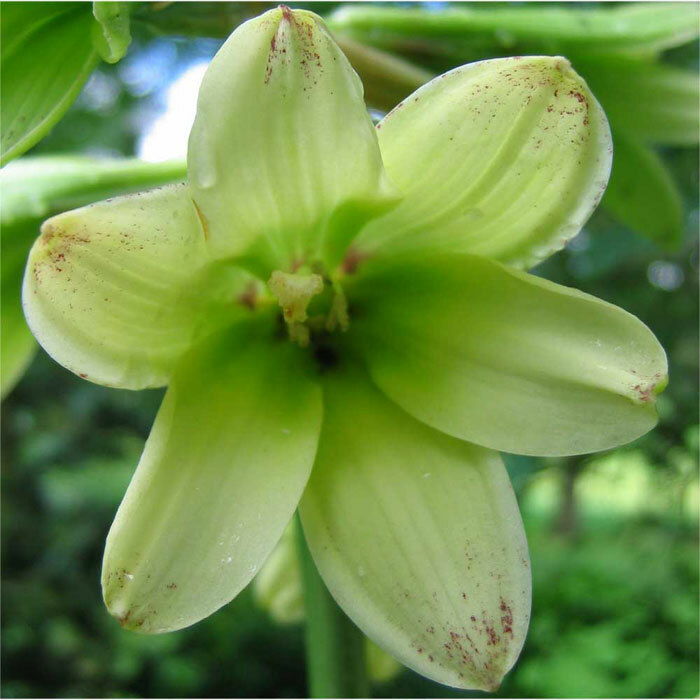 Click the link to see the current plant database, (all plants), or a map of the garden showing the Cardiocrinum positions, (living plants only). 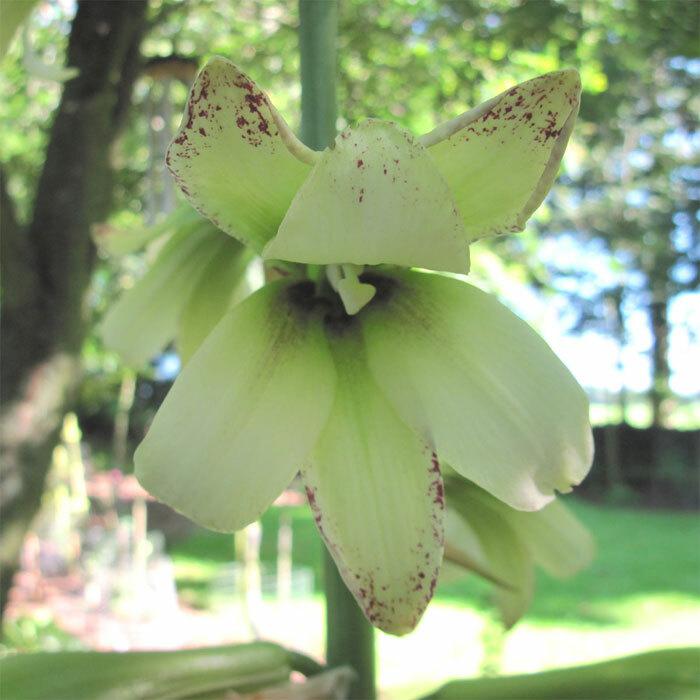 Photos of the flower spikes are now taken with a white, 3' rule alongside the stem. 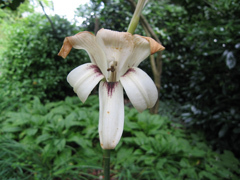 As well as the plants lised in the database and marked on the map, there are about another 100 - 150 C. giganteum & C. giganteum yunnanense in other parts of the garden.